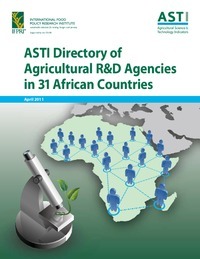 This directory is a product of a survey round conducted in 2009–10 in 31 African countries by the Agricultural Science and Technology Indicators (ASTI) initiative. More than 370 agricultural research agencies participated in national survey rounds during this period. As part of the survey, contact information was collected from the agencies and compiled to form this directory. The agencies are organized by country and by sector. The directory also contains links to website pages that provide more country resources, including data and publications.